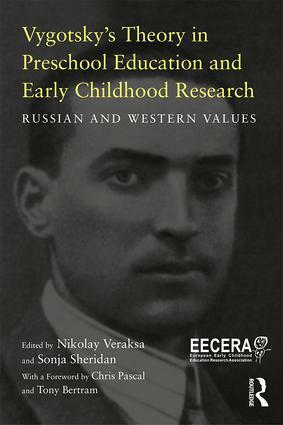 Drawing upon in-depth analyses of Lev Vygotsky’s theories of early childhood and investigating the ways in which his ideas are reflected in contemporary educational settings, this book brings into sharp relief the numerous opportunities for preschool learning and development afforded by Vygotskian approaches. Discussion of recent developments in the understanding and implementation of Vygotsky’s ideas in Western and Russian contexts facilitates comparison, and provides readers with fresh impetus to integrate elements into their own practice. Chapters are clearly structured and address the multitude of aspects touched upon by Vygotsky, including cognitive development, communication and interaction, play, literacy and the quality of preschool settings. Providing a comprehensive exploration of current stances on Vygotsky's ideas in diverse cultural-historical contexts, Vygotsky's Theory in Early Childhood Education and Research will be of interest to researchers, practitioners, educators and politicians involved in early years education. Nikolay Veraksa is Leading Scientific Researcher at the Russian Academy of Education, Professor of Moscow State Pedagogical University and Leading Scientific Researcher at Moscow City University, Russia. Sonja Sheridan is Professor of Education at the Department of Education, Communication and Learning, University of Gothenburg, Sweden.